Power is slowly rolling back on in the region. The Space Cowpokes got power back yesterday—huzzah! There are, however, still about 650,000 ConEd customers who are without power. Con Edison said it expects to make significant progress restoring electricity over the next two days with help from additional crews from around the country arriving daily from as far away as California. That is consistent with the company's earlier expectations. On Wednesday, the company said customers in Manhattan and Brooklyn served by underground equipment should have power back within three days and said it would take at least a week to restore all of those in areas served by overhead power lines. There will be a lot of people working 'round the clock to restore power, and my thoughts are with the women and men who will be doing the hard work of rebuilding as well as the people who await the return of their electricity. Below, some of what I've been reading this morning. Please feel welcome and encouraged to share links, resources, and news in comments. The Daily Beast: Hurricane Sandy Victim Jacob Vogelman's Mother Remembers His Life. CNN: Katrina, Joplin Survivors Offer Advice to Sandy Survivors. AP: Superstorm Sandy: A State-by-State Look. CBS: New York's Subways Return to Service for First Time Since Superstorm Sandy. Reuters: New York Commuters Walk, Bike, and Fume Amid Post-Sandy Snarls. USA Today: NYC's LaGuardia Airport Reopens after Blow from Sandy. Reuters: Fuel Shortages, Power Outages Hamper Sandy Recovery. ABC: Sandy's Blackout Threatens to Destroy Trove of Medical Research. NBC: Platelet Donors in Demand after Sandy's Wrath. c|net: iTunes Now Accepts Donations for Hurricane Sandy Relief. USA Today: Springsteen, Bon Jovi, Billy Joel Plan Sandy Benefit. 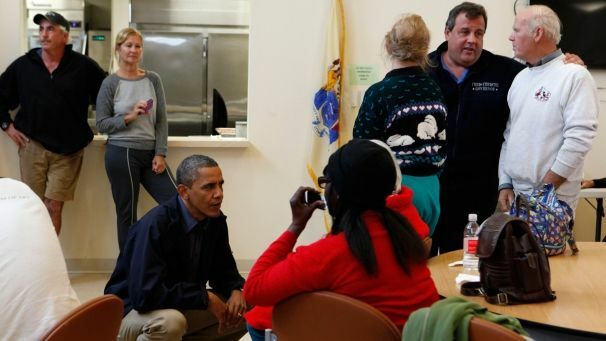 Washington Post: In the Wake of Hurricane Sandy. Time: McKibben on Sandy: The World's Greenest Author Talks to Time.